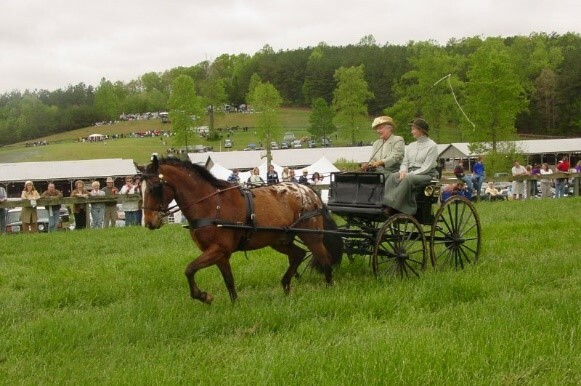 The equine community and towns local to Tryon, North Carolina, form a landscape that is treasured by residents and visitors alike. It provides a sense of community and regional identity that speaks to the community culture. Residents and advocates have worked to recognize and keep those attributes intact to maintain the landscape they love, both through conservation and through equine related economics. With the upcoming World Equestrian Games to be held at Tryon’s International Equestrian Center in 2018, understanding and appreciating the area landscape will add to the visitors experience. And there’s a lot to learn about how the community and area developed to be equine oriented. The place types that comprise horsekeeping landscapes originated as the result of functional needs – to keep the horse safe from predators and its own instinctive wanderlust; to keep it close, for human convenience; and to provide its care and sustenance. As we know, that landscape evolved in a variety of ways dependent on topography, climate and human population density, as well as the development of specialized breeding for specific uses. Humans have an affinity for landscapes that reflect their cultural preferences and certain inborn needs. A landscape that presents a feeling of security, exhibits diversity (interest), and balances both regularity (predictable) and mystery (pleasant surprise) is highly desired. Tryon’s equine landscape, typical of the foothills area, certainly contains these elements. Residents feel that this is a landscape worth keeping. What creates the viewsheds particular to the Carolina Foothills area? Looking at the landscapes of Campobello and Landrum in South Carolina, Tryon itself, Columbus and Saluda in North Carolina, these are all towns that exhibit a unique foothills charm along with numerous horse properties. The defining foothills provide each town with a rolling background that provides a sense of arrival at each Main Street. The historic and colorful cultures of Tryon and the other communities are revealed, drawing visitors to human scale areas of commerce and entertainment. There are multiple opportunities for equestrian activities, sports and shows in the area, located comfortably between the large tree masses of the landscape. The iron bridge is located in Tryon’s hunt country, and is an iconic symbol of the community’s equestrian culture when seen with horses, riders and hounds of the hunt crossing in the early morning. On a fall morning, the group is surrounded by rising mists and has a unique quality of light and sound as all cross the bridge. Horse farms, training stables and show facilities populate the back roads of the region, providing the rhythmic yet surprising landscape that residents and equestrians love. Lake LPhoto Courtesy of Tryon Horse Countryure Lodge, built in 1937 as a retreat for state troopers and their families, maintains its rustic quality and mountain surrounds overlooking the lake. Lake Lure is one of five lakes in the area, dotting the land with crystal waters and recreational opportunities. 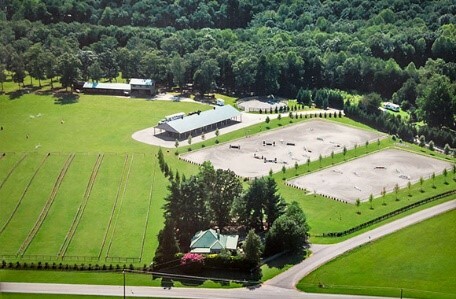 The Lake and Lodge is about a twenty minute drive from Tryon International Equestrian Center. 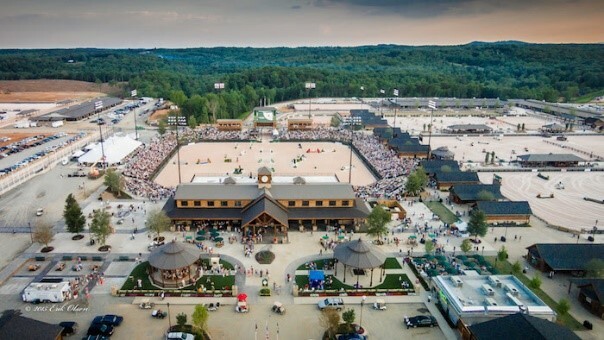 The competition venue facilities at the Tryon International Equestrian Center were completed in 2016. Soon to come will be a substantial hotel and resort to be located on the hillside overlooking the facility. Excitement is in the air as the Center, and Tryon, prepare to host the 2018 World Equestrian Games. Sure to bring in thousands of competitors, games enthusiasts and tourists, the level of competition and continued success of this facility is certainly a factor in maintaining the open space and equestrian landscape that Tryon is famous for. Due to its size, the IEC was able to offer most all of its stalls for equine evacuees of the Florida hurricane at a reduced rate, pointing to the importance of these facilities along with developing and maintaining communication and interconnectivity between equine communities and performance facilities. Harmon Field Park originated as a small piece of property purchased through a grant from the Harmon Foundation which was dedicated to and provided outdoor recreational opportunities for 117 communities throughout the US. The park grew from eight acres over the decades to 46 acres today, with a large portion being created for horse riding and shows. The park, according to the original grant, must be maintained for recreational use and have no buildings except those which enhance the recreational experience. The requirement in effect protected part of the equestrian open space and ambience of Tryon in perpetuity, and boasts a fine history of equestrian events. Equine Land Conservation Resource, in our efforts to assist equine related individuals, groups and communities to protect their horse lands, facilities and equine trails, looks at the organizations that are and have been instrumental in conservation across the US. The Carolina Foothills area has a few sterling examples. Starting in the 1950’s and continuing through the construction era that produced the nearby I-86 and I-29 corridors, the Foothills area that is home to Tryon and many other equestrian friendly communities looked to be primed for development. Are residents, unwilling to sacrifice the equestrian lifestyle and landscape character, formed the Foothills Equestrian and Nature Center (FENCE) with the donation of lands that now total 380 acres. FENCE hosts the Block House Steeplechase, horse shows and a nature education center, thus supporting the full community through their activities. Established in 1989 through the prompting of Allan D. Slater, Pacolet has been working for almost three decades to protect open and agricultural land in the Tryon and Polk County area and surrounds, into upstate South Carolina. Of the nearly 10,000 acres of natural and agricultural land, over 1,200 acres are permanently protected on seventeen horse farms, along with over 3,000 acres of land that i ncludes Tryon’s extensive equestrian trail system. 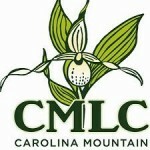 Pacolet has recently merged with the Carolina Mountain Land Conservancy to form . The organization recognizes the importance of horse land not only for the beauty of rolling horse pastures diversity of barns, but for the soil protection and habitat. 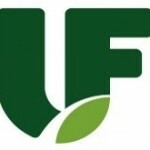 Established in 1998, Upstate Forever holds over 14,000 acres of easements in the up state South Carolina and western North Carolina regions. One of the easements it holds is on Fairview Farm, an old training center. The 1300 acre farm has a small number of 25-56 acre residential tracts with the remainder in greenspace. The 403 acre Cotton Patch, another well recognized farm, was added to Upstate Forever’s portfolio with limited equestrian tracts and the majority saved as greenspace, along with other adjacent properties, helping to form a substantial protected greenspace swath. Exemplary trail riding organizations that unite private landowners to allow residential riding on their lands has been successful in establishing and protecting trail corridors in the communities of Tryon, Collinsville and Gowensville, SC. 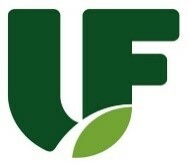 This is another organization that protects the foothills landscape, but in a different way. The communities of Landrum, Tryon, Columbus and Saluda all have something besides being great horse communities. They belong to Our Carolina Foothills, an organization that promotes economic tourism as a means of bringing income into the community without expanding industrial jobs facilities and thus keeping the local population small. Here again, the area landscape is enhanced through locally grown agricultural products that reflect local interests and national trends, such as wineries and healthy, organic food crops. The organization helps to preserve the landscapes in these communities by focusing on agricultural lands, equine activities, natural area recreation and the historic setting of town centers. What can other equine communities learn from the activities of this region? Horsemen and women must identify what the equine industry means to their community in the realm of community identity, the importance of open land, equine culture and history, economic importance and aesthetic sustainability. Horsemen and women must communicate these values to the rest of the community and help to establish support for equine lands and activities. Horsemen and women must organize and identify what is most important to them. Equine advocacy organizations must work with other community groups and concerns to reach consensus on what is important to everyone. Equine and community organizations should work with government agencies and with land trusts to protect important lands, facilities and trails. These groups must work to formalize, through legal agreements, comprehensive planning and designating funding, components of a viable equestrian community within the larger community. These groups must recognize how the economic needs of the community can be accomplished through shared values and inter-community cooperation.